What is it with comedy people I know being Father Christmas in department stores this year? Last month in my blog, it turned out Bob Slayer was being a Santa this year. 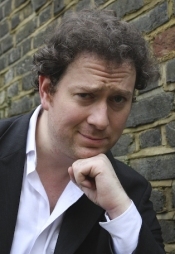 Just over a week ago, I mentioned comedy performer Dan March’s 40th birthday party in a blog. 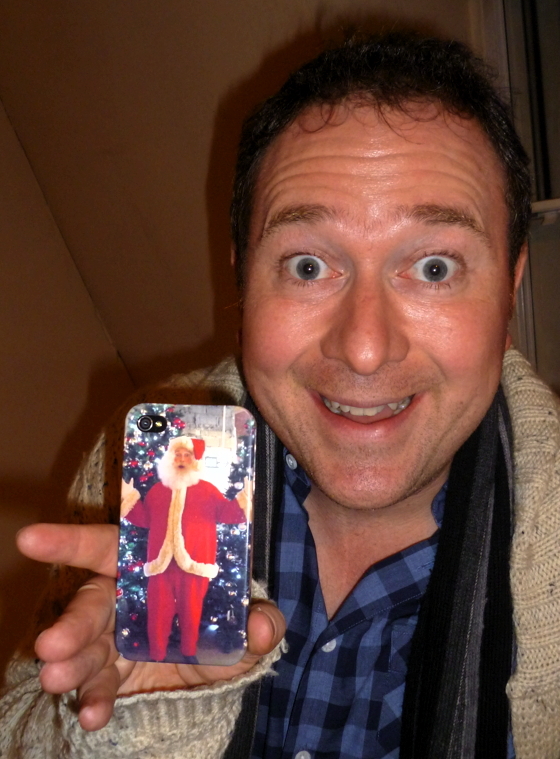 And, when I talked to him last week, it turned out he, too, was being a Santa this year – for Selfridge’s. “Have you been a Santa before?” I asked him. 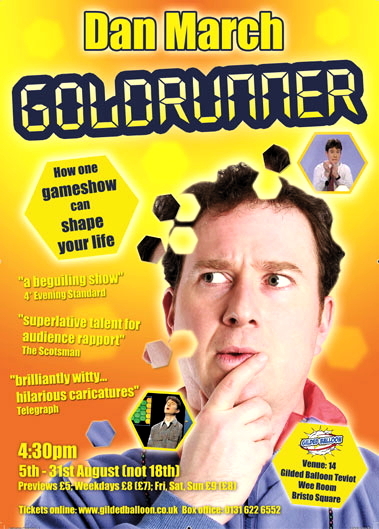 I met Dan in 2009, when he performed a one-man show called Goldrunner at the Edinburgh Fringe about how, as a 17-year-old in 1991, he had won the TV gameshow Blockbusters. “You haven’t done a solo show at the Fringe since Goldrunner in 2009?” I asked. “Sketch groups have had their day, haven’t they?” I asked. “I got recognised at a friend’s wedding,” laughed Dan, “and I got recognised the other day, when I was compering a wine-tasting evening. I sold a pub in EastEnders, ran a pub in Casualty and advertised a Belgian beer: so who better to host a wine-tasting evening? “The last couple of years,” said Dan, “I feel the experience of doing comedy has fed into my acting. I’ve just filmed an episode of a BBC3 sitcom Pramface. I think having gigged a lot in the last five years has really helped my acting. Even when you’re going for pure reality and not gags, the timing is there. Maintaining energy and controlling the audience while keeping in mind where you have to end up. “You miss the immediate audible audience response?” I suggested. “So, in ten years time?” I asked. 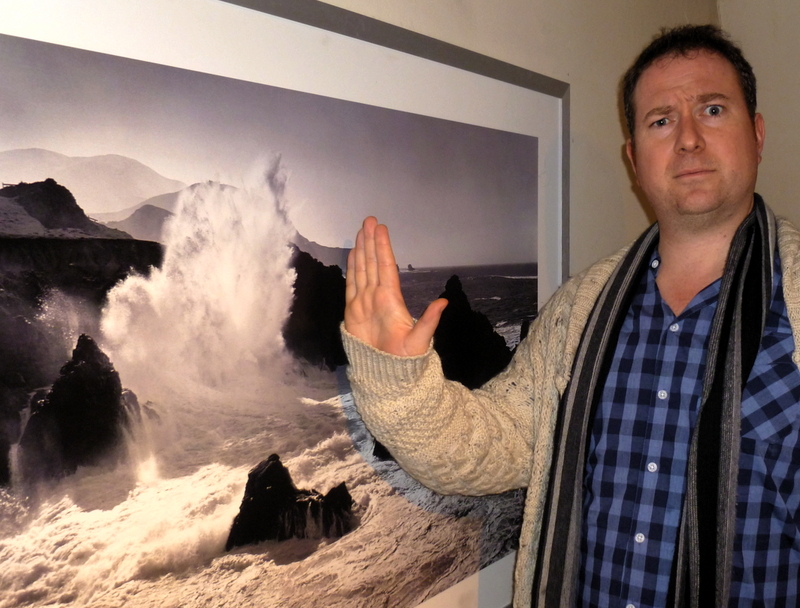 “You have to experience at least two in a row to get the full impact of the unpredictability,” I said. “Did you read that on a bus?” I asked. “No,” laughed Dan, “but I’ve just read an interesting book called Man’s Search For Meaning by Viktor Frankl. “He was viewed as the successor to Freud in psychotherapy terms. 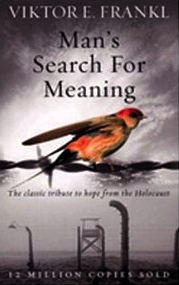 He was put in Auschwitz (and other concentration camps) and survived, then wrote a book looking on his experiences as objectively as possible: Why did certain people survive and others just gave up? “He looked at what we want from life and there are three main schools of thought. There’s the hedonistic lifestyle of living for immediate pleasure. There’s looking for power. with money as an offshoot of that. And then there’s looking for meaning – looking for the essence of life. There’s really profound stuff in this very short book.